The first major of the season is upon us. It’s Masters week! Memories are going to be made for one lucky winner. All eyes are going to be on the big names such as Rory, Tiger, and Jordan Spieth. Who do you think is going to win? Can Tiger put it all together and win his fifth green jacket? Is Bubba Watson going to be in the mix again this year or will one of the young guns become victorious? It’s going to be one exciting week and I look forward to this tournament every year. Jack Nicklaus is already creating uproar this week as he had a hole in one at the par 3 contest on hole #4! 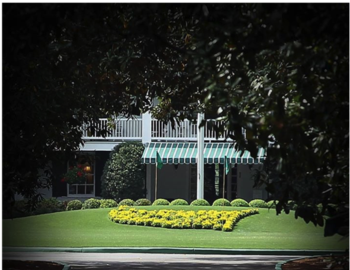 So sit back, relax and take in the beautiful views of Augusta National.